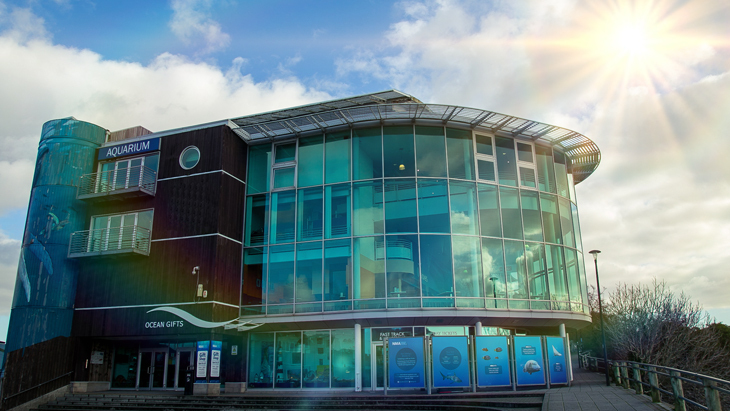 The National Marine Aquarium in Plymouth is a fantastic day out for the whole family – whether you bring your tiny tots to explore and have fun in our Loola Land Soft Play, or you’re an adult looking for more information on the amazing Ocean animals out in the deep blue. With your entrance fee to the Aquarium you receive a complimentary year pass to revisit as much as you like for the year. How? Book your tickets to visit on a specified date over three days in advance of your visit. How? Bring with you valid ID/ proof of employment and show to our Ticketing Staff on entry to the Aquarium. How? If you’re coming to the Aquarium via the new Ocean City Sights bus, show your travel ticket to our Ticketing Staff on entry to the Aquarium. How? If you’re coming to the Aquarium via train or bus, show your travel ticket to our Ticketing Staff on entry to the Aquarium. How? We offer free entry to carers accompanying our visitors on proof of valid identification (e.g. a carer identity badge, DLA/PIP letter). Book your Advance Entry Tickets here or come into the Aquarium to use one of our other discounts.